For the dealers with multiple lots, we have now added the ability for users to sort by distance! This is now bundled with every dealer’s site that has multiple lots. 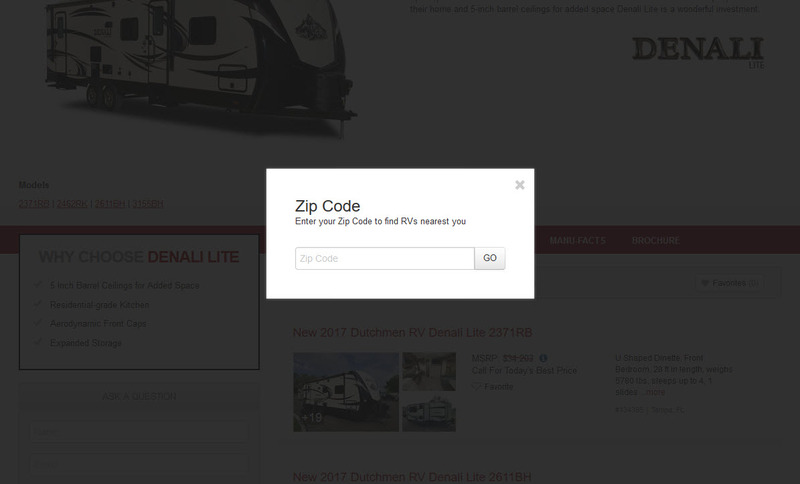 When a user is on a listing page, they are offered the option to sort by distance, when selected, the user will see a pop-up where they are prompted to add their zip code. Once the user adds their zip code, the units are sorted by lots with the closest lot showing first.